Lets hit the giant ‘WANT’ button shall we? 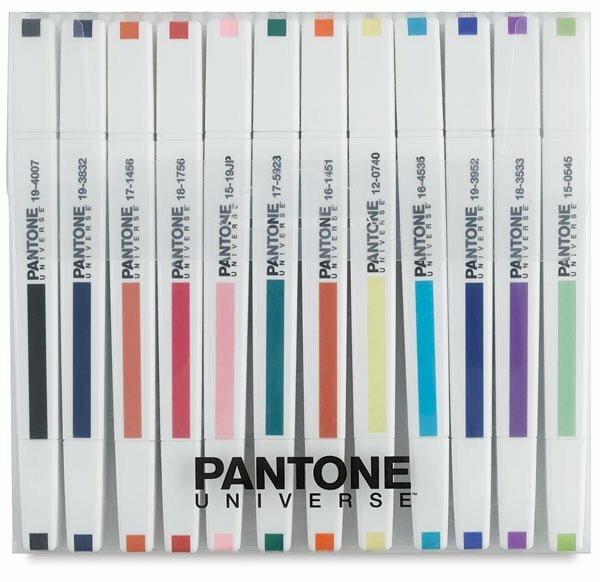 For thoughts not in the know, Pantone is the defacto colour reference system for print in the world. its a Universal for consitant (as possible – print is not an exact science people) colour in print works. and now, avlable in PEN FORM! Pens are firends. These come in a rather large set and it has to be said that every colour from the range is not represented. There’s a good few thousand these days, but for rapid prototyping and design i can see a good use for having a small selection for building tone and experimenting with out the need for a digital excursion. Hit the break for my true feelings about pens and a link to buy your own!